Working meeting with Acting Governor of Kirov Region Igor Vasilyev. Putin.BLOG Kirov Regions Working meeting with Acting Governor of Kirov Region Igor Vasilyev. The Acting Governor of the Kirov Region briefed Russian President on the socioeconomic situation in the region. 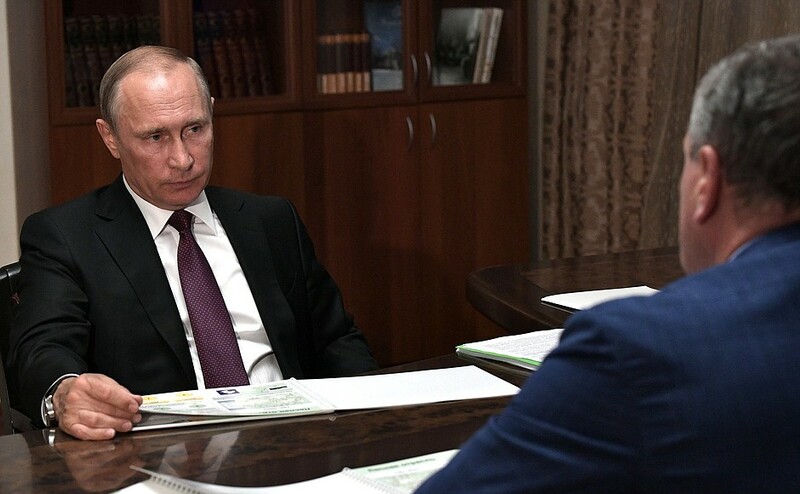 Vladimir Putin at a meeting with Acting Governor of Kirov Region Igor Vasilyev. The discussion also focused on appeals made to the head of state by Kirov Region residents during Direct Line with Vladimir Putin. Mr. Vasilyev, you have been working for a year already, haven’t you? It was a year last week, on July 29. During this time, you could have familiarized yourself with the unresolved issues and with the potential of the Kirov Region. How do you assess the situation? Mr. President, if you allow me, I would like to briefly report on the state of affairs and the prospects that we have. Let us start with the situation in various sectors. 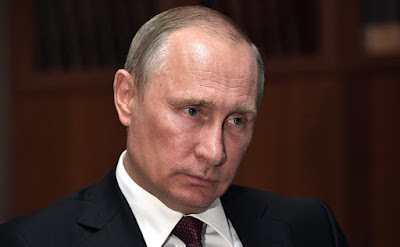 Over the past year, the industrial production index grew three percent to 103.3 percent, which is a bit higher that the overall figure for Russia. Agriculture – 103.9 percent. Investment in wood processing grew substantially as well as in production of medicines and other remedies. Housing commissioning rates dropped a bit, there is an explanation for this, I will tell you everything today. If you would allow me, briefly, specifically, by industry. The state debt structure here, unfortunately, is close to a hundred percent. We set the goal not to increase, but to gradually decrease state debt. We have a corresponding agreement with the Finance Ministry. We are working to swap commercial loans with budgetary. This year, I hope, we will manage to replace 1.5 billion, we have an appropriate agreement with the Finance Ministry. We are constantly working with commercial banks to decrease interest rates, only last year this effort allowed us to save 70 million rubles through the decrease of interest rates. Vladimir Putin with Acting Governor of Kirov Region Igor Vasilyev. Of course, we are actively working on increasing our own budget inflows. This year we managed to achieve a growth of two billion mostly thanks to profit tax. This has been the result of work with specific taxpayers. This is, first and foremost, due to greater tax discipline. There is a law on bankruptcy, less than one percent of enterprises finish bankruptcy procedures with a financial recovery and can return to operations in their previous area. And in the first half of 2017 we managed to commission two such enterprises. In Chepetsk, which is a mono-city, production of chipboard, more than 250 jobs. This enterprise, which had been bankrupt for six years, is now solvent, actively operating, and pays its profit tax, among other things. And the unique enterprise, Kirovsky Mashzavod l Maya, which produced cranes for railways – large-load, huge cranes. We managed to pull it out of bankruptcy and create more than 800 jobs. In the timber industry, we started actively holding open auctions where a person, without any official involvement, can use our newly created and unique information system electronically, and, with a maximum of three clicks, register oneself both as a potential buyer, participate in bidding, and, without going anywhere, pay for the lumber, and formalize relations with the state. This is what you told me: investment projects in this sphere dealing with the use of this system. In other words, forest rights were granted under the promise of further investments. Yes. This is why we are changing the situation: first production, timber and participation in open auctions. This yields results – investment in the forest industry has grown fourfold. The industry. Work is underway under a diversification plan, in accordance with your instructions, to increase the share of industrial enterprises’ operations, apart from the state armament orders, to 50 percent. In Kirov Region, we created a council of chief engineers, an engineering center with the participation of our backbone, Vyatka State University. This has borne fruit. We have recently signed an agreement with the Bauman Moscow State Technical University. There are problems. The Molot factory fell under the sanctions of the United States of America. The factory, incidentally, was selling shooting and hunting rifles to the United States. I think that now we will work together with our defense and law enforcement agencies in hope of adding to this plant’s load with orders from inside the country. 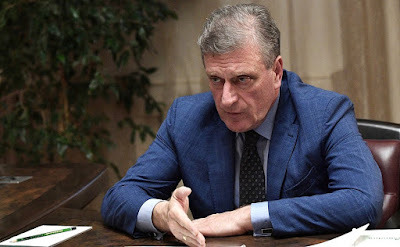 Acting Governor of Kirov Region Igor Vasilyev. The industrial cluster. This year we will complete the formation of a biotechnological cluster in accordance with all the laws of the Russian Federation. There are several large enterprises that are involved in the production of vaccines and vitally important remedies. And this year we are launching production of disposable syringes in the settlement Vostochny. A big, serious enterprise will strengthen the import substitution drive. Now over to agriculture. The number of cattle is growing; we rate first in the Volga Federal District in terms of milk yield per cow. This is almost seven thousand liters of milk. You can still have it increased. Yes, we can. We have a goal of achieving one million tons per year. This will provide us with an opportunity to hold serious talks with the processer. And the environment. This year is the Year of the Environment. We developed a system of environmental control, which enables each concerned citizen to see landfills, wildfires, or any unauthorized waste and inform both the municipal authorities and the Government about this. You know, this absolutely works. Enterprises are joining in as well. We have signed seven agreements on participation in the invigoration of the ecological situation. In the construction industry, we have a major issue. Almost 40,000 square meters of housing have been found to be dilapidated and were not included in the program by 2012. I think here we need to find the reasons for this. We will reveal them, we will be working hard to do so. Do you mean they were simply not taken into account? They were not. Some mistakes were made by officials, maybe with some direct intent. In other words, they were to be included in line with the decisions taken, but they were not. Absolutely correct. We have discovered them now, as of 2017 we will be including them in the program Thank God, thanks to you as well, the program has been extended for one year. We are actively working with the housing and utilities fund and hope to reach a mutual understanding. Only around twenty percent of the roads in Kirov Region correspond to acceptable standards. This year, thank you very much, Kirov managed to become one of the cities with a population of a million people, although there are only 500,000 people living in it. Under the Safe and High-Quality Roads program, we received an additional 1.2 billion of funding for our road fund and we can now do 100 kilometers of roads in Kirov. We are actively engaging in a program with the Transport Ministry, actively engaging in a program with the Federal Road Agency, and have a goal of increasing the share of roads that correspond to acceptable standards to 51 percent by 2018. In housing and utilities rates, we introduced an information system, we had 500 different rates – 500, I am not joking. The difference in rates for a single type of fuel –1500%. We are systematizing it now. For each district of the region, and for different types of fuel. Of course, the fact that we have the lowest rate of gasification, only 40 percent, is the cause of this and we need to work on this. However, I think that this year, with the use of these information systems, we will be able to decrease rates by 10 percent for the population. As for demographics and healthcare, today we had a chance to talk at an outpatient clinic. We are actively engaging in a project aimed at creating ‘lean clinics’. More than ten were brought into absolute order. Each time, when heading out to the district – we now do this with almost all the members of government in attendance – we pay special attention to healthcare facilities. As concerns education. We are bringing 29 schools to the regional level in order to grant them additional financing. This year, despite our clearly small budget, we found funds and, almost 300 percent more, roughly 60 million, were allocated toward the preparation of educational establishments. As for wages, we are on schedule. There are issues that we inherited. 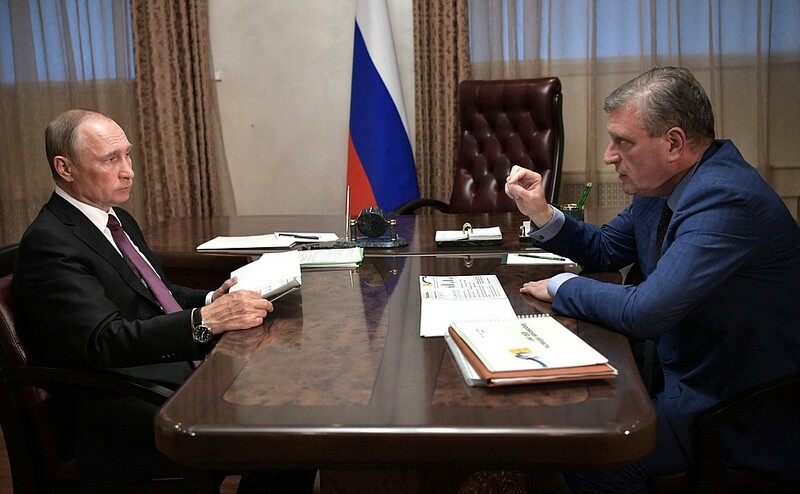 Mr. President, I would like to draw your attention to the fact that on each page of the presentation, in the left-hand corner, there is an inscription “Kirov Region Information System”. We are arranging the management of the region using principles of project management. I believe that soon we will finish this work and will be able to work in the open space of digital data. You mentioned environmental issues. What I would like to draw your attention to, according to the data, which came from people during the Direct Line, in some places illegal pits are being dug, as people believe. There is a suspicion that these pits will be used as landfills for solid domestic waste, right in front of residential houses. All of it is here. I request you to pay attention to this. Now, for those on the waiting list for housing – workers and pensioners of the Ministry of Internal Affairs. This is something we need to examine. Today, you and I were in a good medical center, but there are issues with the health industry. I will not go into detail; you can take a look later. As for gasification, you have just mentioned. People rightfully ask: “We supply large volumes of gas, oil abroad, what about gasification right here?” You know that gasification is developing, but here is what I would like to draw your attention to. Gazprom finishes the pipe, but bringing it up to the consumer – this is the region’s job. This is why I ask you to look into this. Funds must be allocated in time to bring gas to the final consumer, to create a distribution network. What we have now is a situation where Gazprom has built the pipe, but the people still do not have any gas. We are adjusting the program. We are expecting a visit by Mr. Miller shortly and these questions will be at the top of our agenda. Well, Mr. Miller will lay the pipe. You need to plan funds to get it to the final consumer. Over a year, of course, one cannot do very much. But overall, I believe, you are on the right track. I would like to wish you success. 0 Comment to "Working meeting with Acting Governor of Kirov Region Igor Vasilyev."